“When are we?” I ask, recognizing some landmarks of the city. Night is falling. “Well, this is where we need to be. This is the day that Rothko Ladhiffe disappeared.” Suddenly, the sun disappears, as if the light in the sky was no more than a lightbulb that can be switched off. We’re several blocks from the Ladhiffe house, and since Sanela doesn’t trust her powers at the moment, we have to walk the whole way. We see zero signs of life on our way. Not only are there no cars driving home from the bar, or people setting their trash bins on the curb, but there’s nothing. It’s like this area of town was built overnight, and people haven’t moved in yet. As expected, RL’s house is empty, so we go back outside, hoping to run into him. It is then that we come across the special disappearing house. A figure is standing at the entrance, banging on the door. I reach the house just in time to see RL open the door, and steal a flashlight from the figure who was knocking on it, who’s turned out to be some other version of RL. “You won’t need this,” he says to himself. “Go inside. Trust me.” For some reason, the other RL complies with his duplicate’s orders, and steps in. I’m about to follow when the RL with the flashlight stops me. “Not you,” he says. RL then runs off, and we chase after him. “Rothko!” I keep yelling up to him. “I’ve been looking for you!” He ignores me, and leads us to the high school, only stopping once we reach the gymnasium. “What are we doing here?” Sanela asks. RL just steps into the equipment room and starts looking around. “You remember her, though,” he interrupts. I always keep a pen on my person, and have been doing so since I was a child. What kind of man leaves the house without a pen? my father would always say. It made an impression. “I don’t understand,” I say. “What did you want to tell me?” I ask hastily. Time runs out, and we’re transported once again, apparently out of Sanela’s control. She can’t even sense what year it is. As I’m trying to figure out which direction we should go. Hogarth Pudeyonavic appears out of the darkness. She’s running with a woman I don’t recognize. Behind them are town residents Paul Harken, and a very pregnant Hilde Unger. They duck around a corner, and I’m about to run after them when I notice three men already chasing them. They don’t look like they have the best of intentions. “The bat,” Sanela says simply. They don’t seem to be able to see me, but they can definitely feel me. I lower the bat and use it to trip one of the pursuing men. The man in front got past me before I could stop him, so I toss the bat in his direction. It’s not a particularly elegant throw, but it does the job, hitting him in the face, and causing a nosebleed. “Nice shot!” Sanela says joyously, but becomes ashamed of her schadenfreude, and calms back down. The third man is still standing up, so I fix that with a quick jab in the back of his kneecap. I don’t know what his deal is, or why he’s chasing after Hogarth, but RL said to protect her, so that’s what I’ma do. Like I needed a reason. A fourth man runs up and looks at the mess. “What happened here?” He carries with him an air of authority. “Invisible force,” one of the henchmen replies. “Smith. Help. Please.” Maybe I hit him a little too hard. “Where did she go?” the leader, whose name was apparently Smith asks. “Invisible force, you say?” he starts thinking it over. Then he takes the HG Goggles out of his pocket. 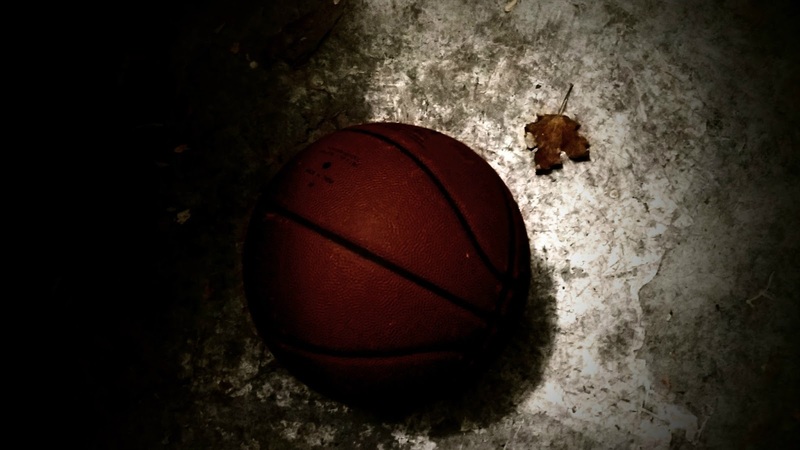 As if on cue, we all hear a basketball bouncing in the darkness. It gets quieter as it loses momentum, but then we see it roll into view. The cat doodle ends up on top when the ball stops at my feet. I grimace at him and get down on one knee. I lift the bat like it’s Excalibur, and jam it into the ball. It pops, revealing the Rothko Torch, just as promised. I switch it on and shine it on Smith’s face. He cries in pain, instinctively trying to block the light with his hands, and then turning away. After I turn the flashlight off, I’m near guilt for what I’ve done. He’s trembling, down on his own knees, and trying to cry, but no tears could fall from those eyes. The HG Goggles have been burned into his face permanently. He’s been turned into a hideous monster by most accounts. It’s unclear what he sees, if anything, when he removes his hands, trying to look at at them. At anything. The intensity of Smith’s whimpers increase until they reach critical mass, and he lets out a shriek no human should be able to produce on their own. Vearden Haywood could probably hear it all the way back in 2017, it’s so loud. Once he’s done screaming, Smith stands back up, working hard to force himself to push through the pain. “I can still see you,” he yells, not as loud as the shriek, but loud enough to strike fear in my heart, and likely Sanela’s. “We have to go,” I warn her. “I’m on it,” she says, lifting her hands to just in front of her face. She then pushes them outwards and upwards, driving the scenery away from them to make room for the next scene.